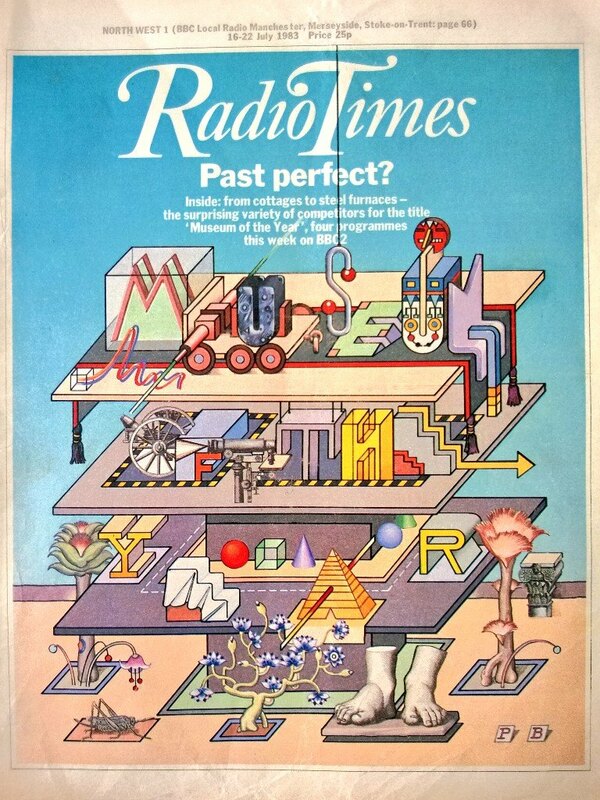 Alien Explorations: Giger's Evolution Chinoise 1981-1984 (work 562) references Radio Times cover from 16-22 July 1983? 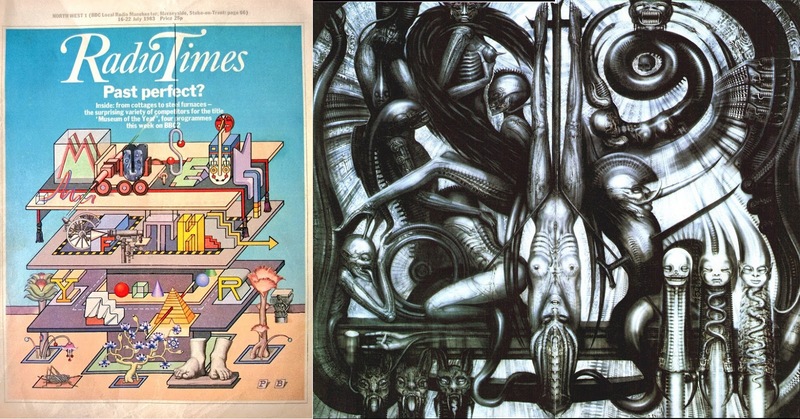 Giger's Evolution Chinoise 1981-1984 (work 562) references Radio Times cover from 16-22 July 1983? b) The cannon wheels turn into the wheelchair, and the angular form to the upper left of the F becomes the angle between he upper torso and upper leg of the figure to the right of the wheel. 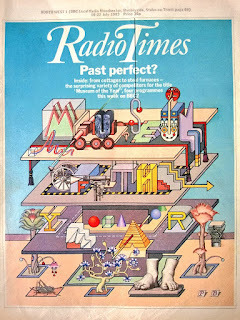 c) The pyramid transforms into the two ropes extending from the female's legs into a triangular form. 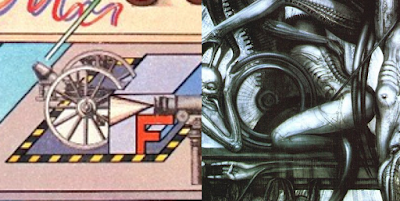 e) There we can look at the smiling face at the bottom with a chain of circles that form its eye, cheeks and mouth, and Giger had taken half of it.